The channel, which is being sponsored by condom maker Trojan and Big Mac maker McDonald’s, features videos on comedy, music, lifestyle and sports. The following video -inexplicably tagged as comedy- is a 4-minute-plus rant about what non-Latinos should expect from dating a Latina. And no, you don’t have to spend 4:09 minutes of your life watching it. Or, you can watch… But don’t say I didn’t warn you. 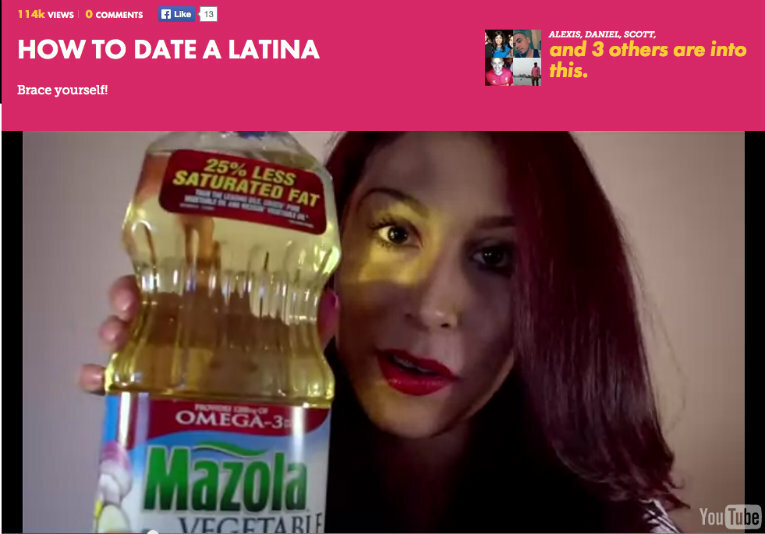 This entry was posted in Marketing & Advertising, Univision, You Tube and tagged Flama, Hispanic media, Hispanic millennials, Millennials, The Flama, Univision, YouTube. Bookmark the permalink. OMG watch this, it’s too funny, and true!